In 1924, the last caliphate—an Islamic state as envisioned by the Koran—was dismantled in Turkey. With no state in existence that matches the radical Islamic ideal since, al Qaeda, which sees itself as a government in exile, along with its hundreds of affiliate organizations, has failed to achieve its goal of reestablishing the caliphate. Unfortunately, due to sales rights restrictions, we cannot offer Virtual Caliphate for sale in your country. In 1924, the last caliphate—an Islamic state as envisioned by the Koran—was dismantled in Turkey. With no state in existence that matches the radical Islamic ideal since, al Qaeda, which sees itself as a government in exile, along with its hundreds of affiliate organizations, has failed to achieve its goal of reestablishing the caliphate. It is precisely this failure to create a homeland, journalist Yaakov Lappin asserts, that has necessitated the formation of an unforeseen and unprecedented entity—that is, a virtual caliphate. An Islamist state that exists on computer servers around the world, the virtual caliphate is used by Islamists to carry out functions typically reserved for a physical state, such as creating training camps, mapping out a state's constitution, and drafting tax laws. 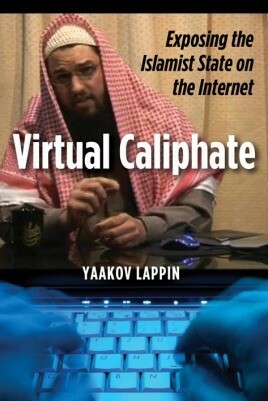 In Virtual Caliphate, Lappin shows how Islamists, equipped with twenty-first-century technology to achieve a seventh-century vision, soon hope to upload the virtual caliphate into the physical world. Lappin dispels for the reader the mystery of the jihadi netherworld that exists everywhere and nowhere at once. Anyone interested in understanding the international jihadi movement will find this concise treatment compelling and indispensable.